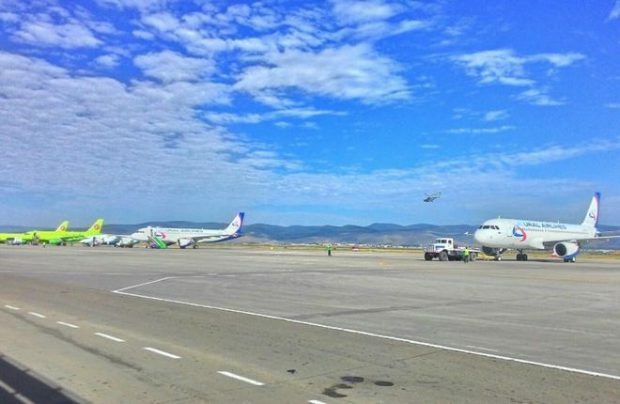 Baikal airport, which serves Russia’s Siberian city of Ulan-Ude, managing company Novaport told Russian Aviation Insider, has introduced an open-ended open skies policy. Ulan-Ude is Russia’s fourth airport to have embraced the open skies concept, under which carriers enjoy the fifth freedom of the air. Transport Minister Maxim Sokolov said in August 2017 that the move would promote tourism in the region and raise its investment attractiveness. The airport says the regime is helping it evolve the network of international routes. Sources at Ulan-Ude say the policy is enjoying particular interest of Southeast Asian carriers, including those from China, South Korea, and Mongolia. China’s Spring Airlines is planning to launch Shanghai – Ulan-Ude flights with Airbus A320s next summer. China Eastern Airlines is also going to start flying to Baikal, having signed a three-year ground handling agreement with the airport. MIAT Mongolian Airlines will be flying from Ulaanbaatar, and is looking to expand its route network from Ulan-Ude further down the road. Talks are underway with Mongolia’s Hunnu Air, which is already present at the airport, over fifth-freedom operations. A number of Chinese carriers, including Air China and Lucky Air, are interested in launching charter flights to Baikal. The open skies policy is projected to bring the airport’s passenger traffic up to 1 million annually in several years from now, mainly thanks to tourist flows from China and Southeast Asia. Ulan-Ude served 95,500 passengers in H1 2017, nearly 8% down year-on-year. The open skies policy is also in place at Vladivostok, Sochi, and Kaliningrad. Khabarovsk, Krasnoyarsk’s Yemelyanovo, and St. Petersburg’s Pulkovo have also been seeking the status.